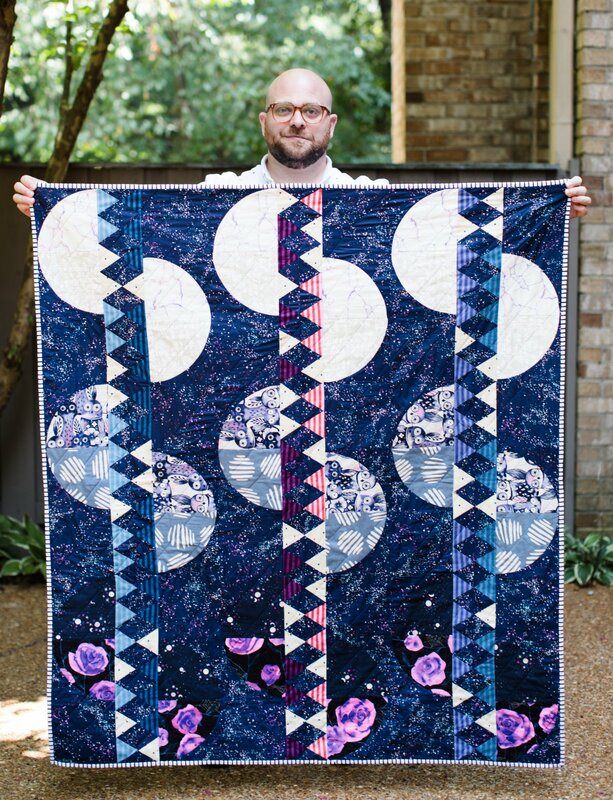 Want in on the exclusive Rising Moon Quilt by Giucy? Join him for an all-day class Saturday, April 27 at Smith Owen Sewing Center. Giucy will be here himself teaching you his Rising Moon Quilt. This pattern is exclusive, not available anywhere other than Giucy's own class. If you were able to get into Giucy's class when he was here last year then you know how much fun his classes are. Don't miss it this time! Sign up today! Instructor Bio: My name is Giuseppe Ribaudo, AKA Giucy Giuce. Sewing has been a part of my life for longer than I can remember. My grandmother is a seamstress. I grew up in her home, my family lived on the lower level of my mother?s parents? house in West Babylon, NY. My parents were restaurant owners so often times they were working. My sister and I would stay upstairs with my grandparents, my grandpa watching wrestling, my grandmother constructing, with great precision, clothing for everyone in my family. This is undoubtedly where my passion for sewing was born, but it wasn?t until years later that I would take scissors to fabric and begin working on my own sewing projects.